On Monday Abby and Emily sang in a musical performance at school. This was the first time I’ve seen Abby stand up there and sing with the other kids. She usually gets a severe case of stage freight right before the performance. In the picture you will notice that she’s dressed up. 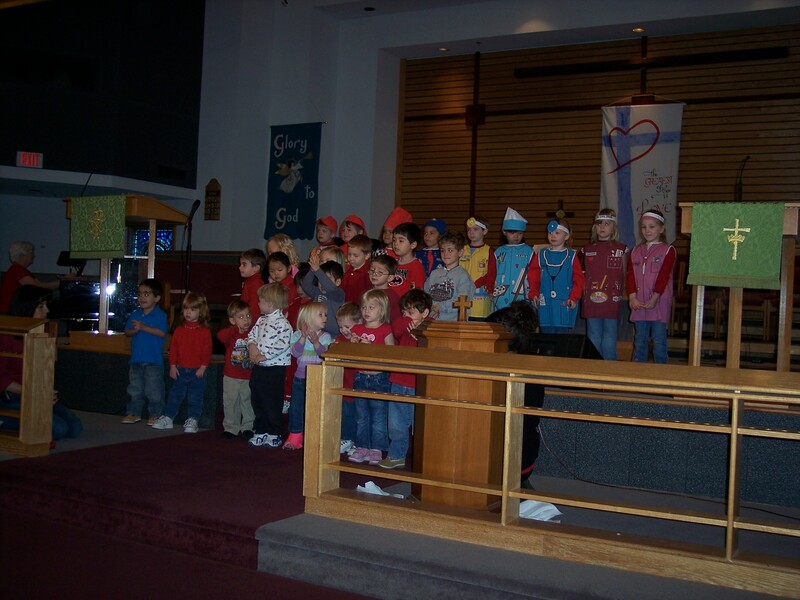 The 4-year-old class was dressed as different professions. Abby was dressed as a teacher. Emily did well too. She didn’t know many of the words to the songs. However, she did know she was supposed to bark during “How Much is that Doggy in the Window?” At the end of the program, the kids handed out Valentine’s Day cards to their parents. Emily gave hers to Jennifer and Abby gave hers to me. My eyes are getting a little better. I’m being very impatient and I want perfect vision right now. I know it takes time, but it can get frustrating at times. I’m okay to drive and watch TV, but looking at stuff from a long distance is still blurry. This entry was posted in Abby, Emily, Family, Jason by Jason. Bookmark the permalink.